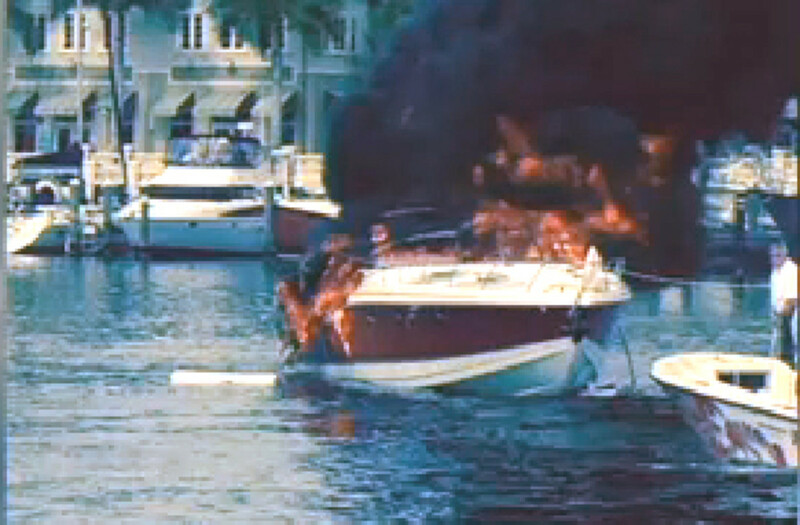 Two Florida boaters are being hailed as heroes for towing a boat with six people aboard after it exploded and caught fire near a fuel dock. 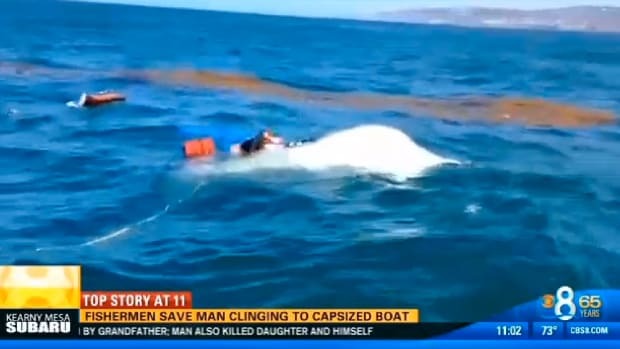 However, the men say their actions were typical of boaters. 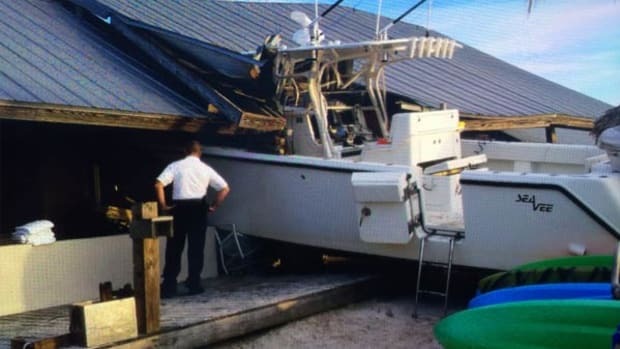 Charter captain David Holzhauer sprang into action after he heard a loud bang and saw a black column of smoke coming from the Tarpon Point Marina in Cape Coral on Saturday. 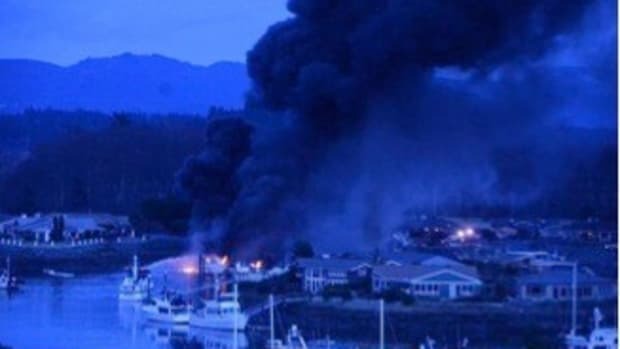 The boat, which had two children aboard, exploded in the water near the fuel dock in the marina, close to other boats and fuel lines. Charter captain David Durham, who was nearby when the explosion happened, also ran to help. 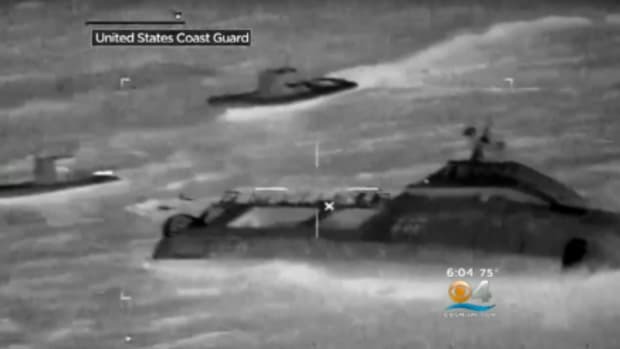 “They couldn’t come off the stern because of the fire, so I helped three of the ladies and the two children get off the bow of the boat and the owner of the boat,” Durham said, adding that the outcome could have been dramatically worse had the boaters been on the stern. “When I came in here, I came in as fast as I could. 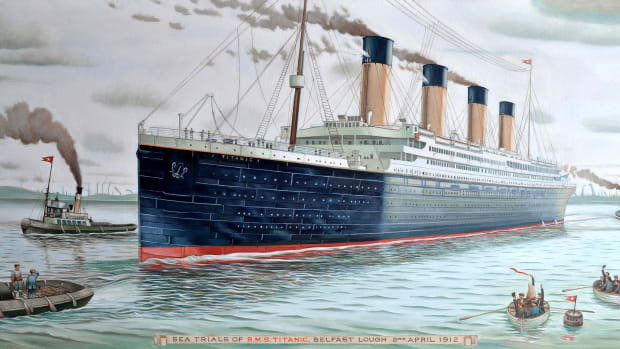 I threw my anchor up on top of the boat pulled tight,” Holzhauer said. 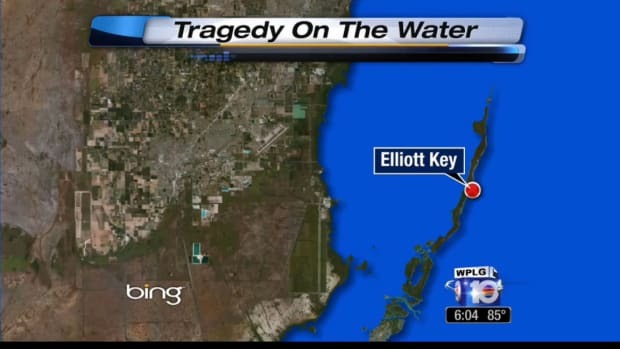 Everyone got off the boat with only minor injuries. 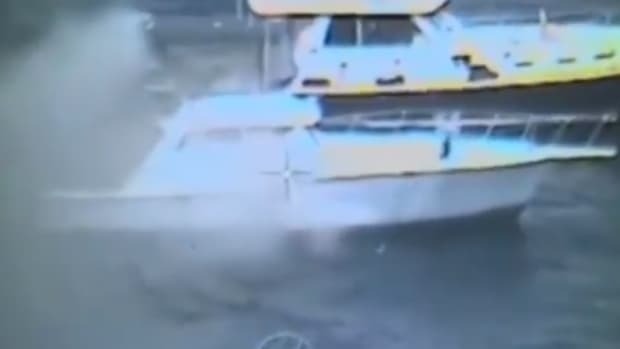 But to make sure no one else got hurt, Holzhauer and a harbor employee pulled the boat to safer water, getting intense video as they went. “I didn’t want to see it blowing back in here. 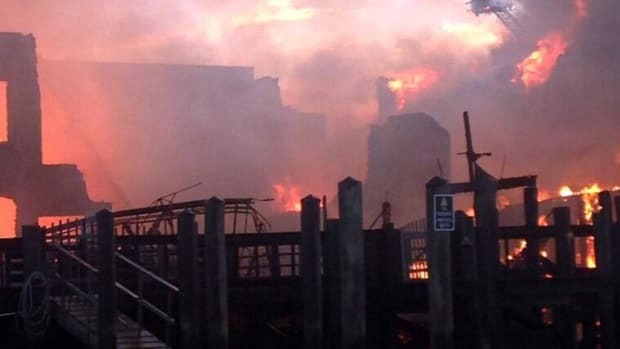 As big a fire as it was, we just felt that you needed to get it away,” Holzhauer said. Neither Holzhauer nor Durham said they took action in order to be heroes. 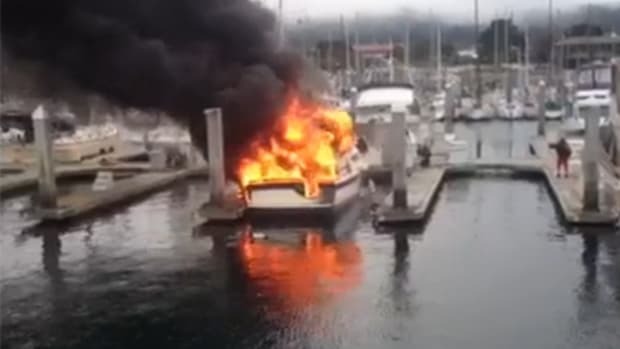 “Boaters always stick together and take care of things,” Durham said.